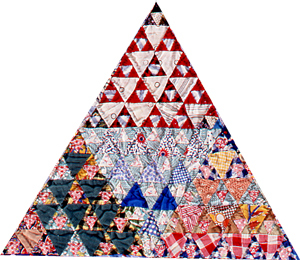 Pyramid quilt consists of equilateral triangles which are repeated over and over to form a pyramid. 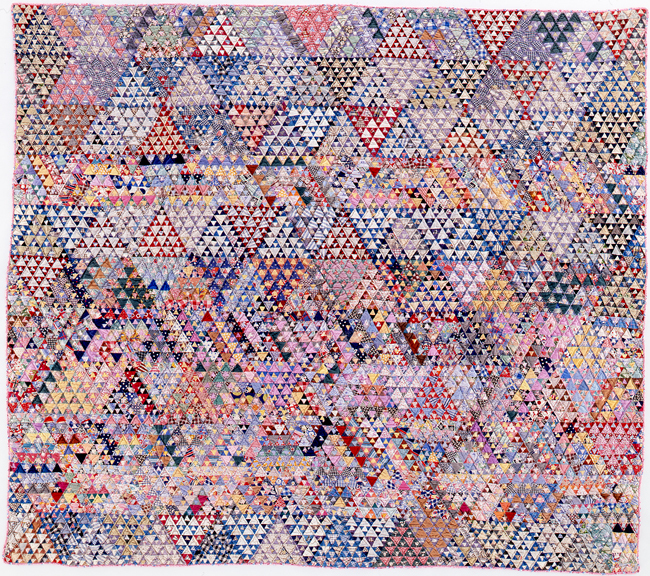 This is a mosaic style quilt featuring the pyramid in any angle of view, and it was quilted to be able to see it in any angle like a kaleidoscope. 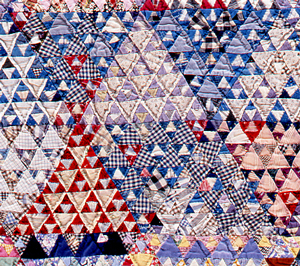 Although thousand pyramid is the most famous pattern among pyramid quilts, this one is unusual 16 thousand pyramid.